I took this photo in the old port of Rotterdam. The building on the right is known as the White House. 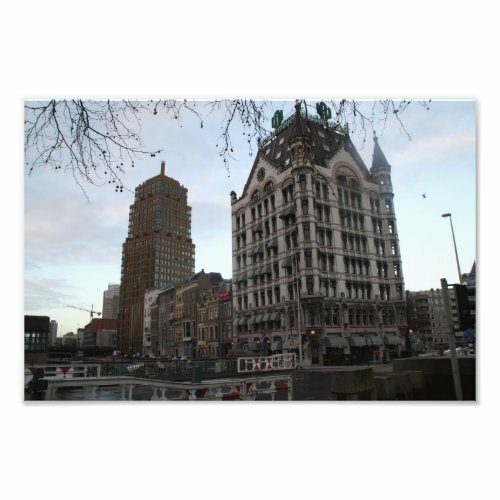 Build in the late 19th century, the White House was the first skyscraper in The Netherlands, and with its ten floors and 43m / 141ft it was once the highest building in Europe.